Richard Irwin (Belper, United Kingdom) on 4 May 2008 in Plant & Nature and Portfolio. 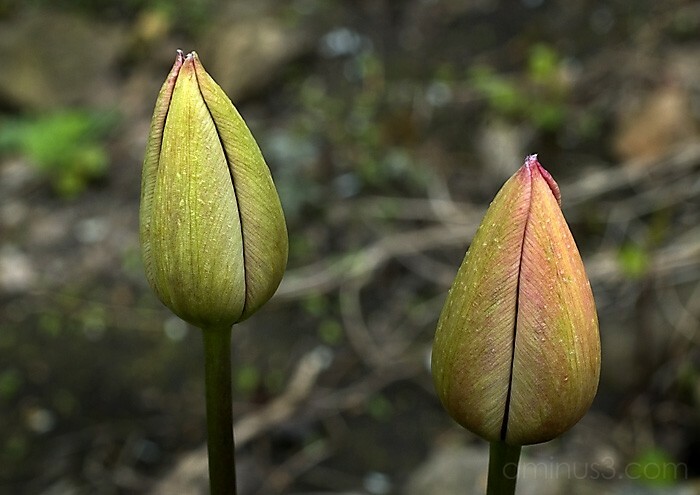 The tulip season continues, here are two yet to flower. These twins are awesome looking. Beautiful image, colours and textures. What kind of camera do you use? Beautiful. Your whole flower series is. Wonderful sense of pent-up energy here . . waiting for the big moment. Nicely done, Richard... promise of beautiful colors! I like this shot... especially the texture of the closed petals and the colors. Great shot and a good dof! good shot and clever title. Fabulous color and superb selective focus. Excellent in my view. They almost look painted, Richard. The detail is exquisite! Beautiful tulip buds and background. I like veru much the colors and textures of the right tulip. They look like decked in armours of gold! this proves that buds can be just as pretty as when they are in bloom :) wonderful shot! gorgeous!! Mind if I ask your PP technique here?